This 1802 variety is clearly more common than Breen-2 (HBCC-3008), but much scarcer than Breen-1 (HBCC-3007). 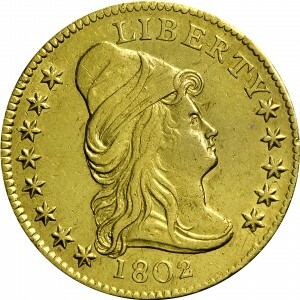 Prior to production of this variety, the reverse die was used to coin certain 1802 dimes, and after these quarter eagles were struck, the same reverse was used for 1803 dimes. 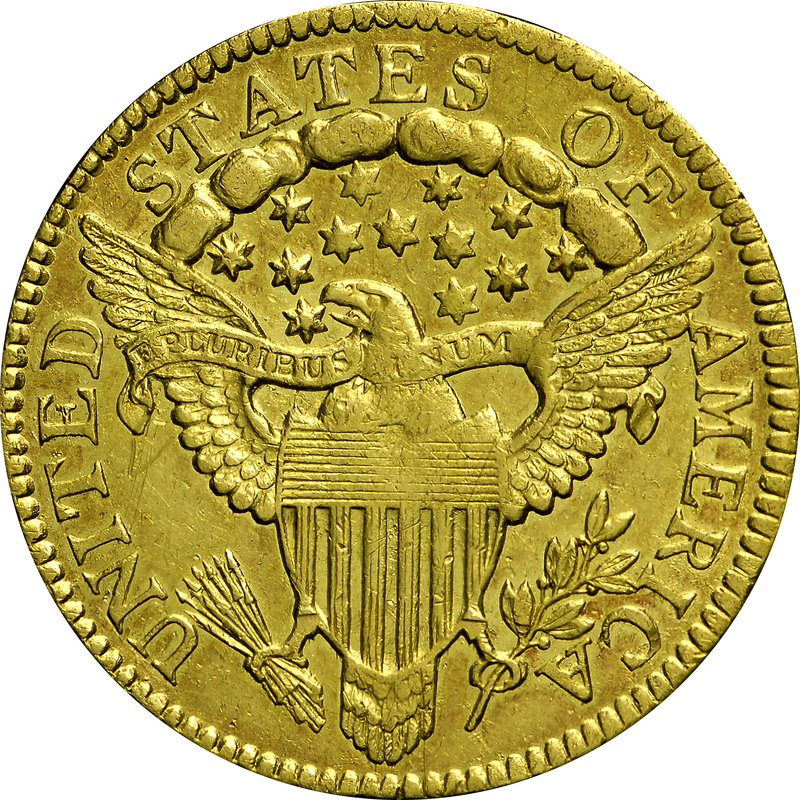 Many Heraldic Eagle reverse dies from 1797 to 1807 were also used to strike dimes. The connection between dimes and quarter eagles is the only such occurrence in Mint history. Quarter dollar dies included the denomination, thus could not be used for half eagles. There are no matches between half dollars and eagles. From Bowers and Ruddy's sale of the Armand Champa Collection, May 1972, Lot 509. 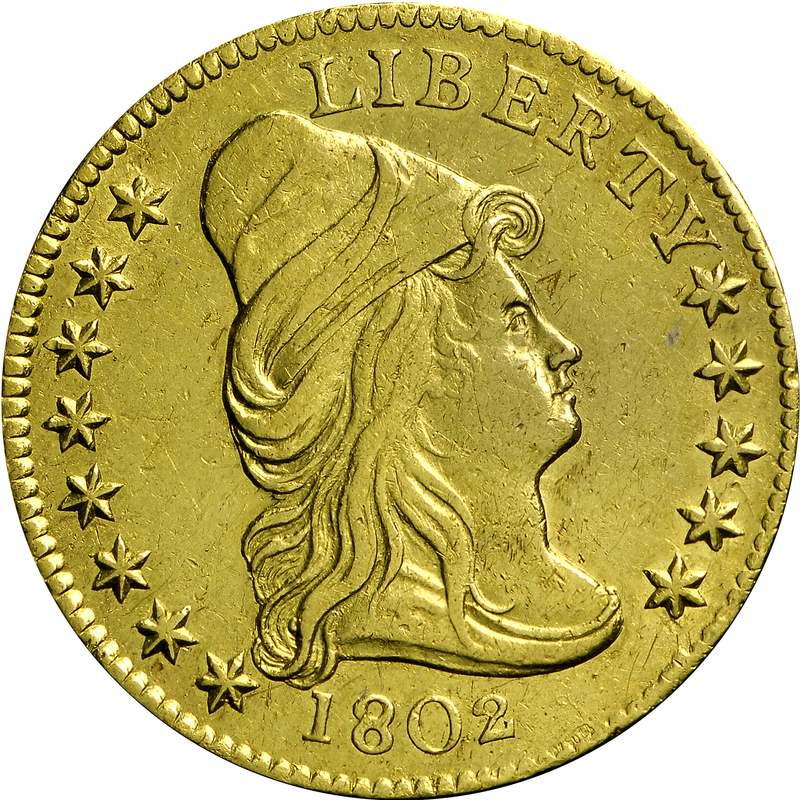 "Obverse: Date repunched. Reverse: 1st star double punched. A(M) abuts wing."